The third Serial Killer Z book, Shadows, came out a few days ago so I think it’s time for another interview. This time I’m talking to Adrienne Lecter, author of the Green Fields Series. Hi, I’m Adrienne, and I love to write realistic, fast-paced, gory zombie horror books! I’m 34, I have a background in science that makes me freak out way more about what I write than any of my readers, and occasionally shoot guns at the range. Because who wouldn’t want to? My Green Fields series has been around for two years now across seven books (with a few more to come to pacify my mobs of blood-thirsty fans!). If you like your outbreak to come with a bit more of a scientific explanation, a world full of conspiracies, and a kickass female lead, you will love it! What inspired to write your zombie book/series? 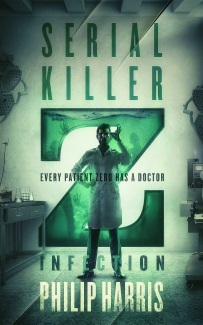 I had a biotech thriller that I couldn’t for the life of me come up with a sequel to. So I figured, why not escalate things and watch the world burn? Why do you write about zombies? Because they exist in a world that’s full of interesting topics to explore, like survival, or what originally good people will do when thrown into a really bad situation. Why do you think zombies have such long lasting appeal? People like to be scared. being in extreme situation can make us heroes, and we all like to be heroes. Which Walking Dead character do you wish they’d kill off and why? Rick. I’ve never liked him, his behavior is somewhere between annoying and downright ‘please put me out of my misery!’. Happy to oblige. What do you think the most likely cause of a real zombie plague would be? Do you prefer fast or slow zombies, and why? Fast zombies, because they are so much harder to run away from. Why create a menace if you can just walk away from it? Which actors would you like to play the main characters in your book? Alexander Skarsgard, Emma Stone, Dwayne Johnson, Michael Peña. Which zombie book would you like to see made into a film and why? Bobby Adair’s Slow Burn series. It would be the perfect combination between fast-paced action show and comedy that makes you fall in love with the characters. Who is your favourite indie zombie author and which of their books should I read? Bobby Adair, and all of them! Which of your books do you recommend readers start with? 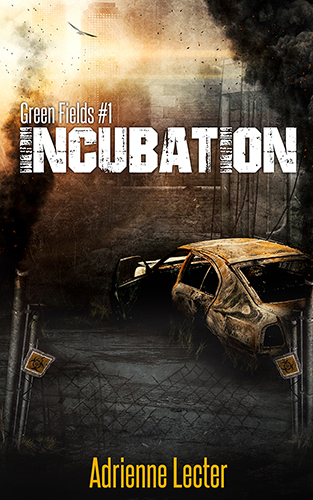 Incubation, the first one. They are connected, and you will miss some of the backstory if you start later. You could start with books #4 or #7, but really, why wouldn’t you want to start at the beginning? Adrienne Lecter has a background in Biochemistry and Molecular Biology, loves ranting at inaccuracies in movies, and spends increasingly more time on the shooting range. She lives with the man and two cats of her life in Vienna, and is working on the next books in the Green Fields series.